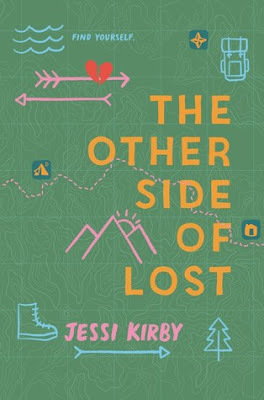 I absolutely LOVE discovering new books by authors that I enjoy, so of course I was pretty excited when I first discovered The Other Side of Lost by Jessi Kirby. I’ve read a few of Jessi’s book in the past, and really enjoyed them, and have a few of her books that I still need to read as well. But, once I discovered this new book, I just HAD to check it out, and I’m so glad that I did! I want to start this by saying that I *really* enjoyed the storyline for this book SO much more than I expected to. I’m not at all a nature/outdoorsy person, and while I love the idea of hiking, especially like the main character in the story did, I doubt I could ever pull it off. BUT, I did enjoy reading all about Mari’s adventure, especially the descriptions of the hike, and I have to wonder if the Jessi Kirby has made this hike herself. Also, there are some really great characters in this book. I love all the friends that Mari meets during her hike, and I think I could totally do a hike if I had a group of friends like these there to support and cheer me on. Some pretty awesome friendships are made throughout this book, and there’s quite a bit of romance along the way as well, which was really sweet. That being said, as much as I liked this book, as a mom I feel like I need to add… Mari totally should have checked in with her mom before and during her adventure!! (Especially after what happened to her cousin.) I would have been completely terrified if I was her mom, and Mari blowing her off didn’t work for me. This was the only part of the book that I really didn’t care for. As a mom, it just seemed really selfish to me. But, that’s just me! Overall; While I had one small issue with The Other Side of Lost, I still found it to be a very enjoyable read! I definitely think fans of Jessi’s will definitely enjoy this new book as well! I will most totally be keeping my eye out for new books by Jessi in the future, and I also am really looking forward to reading the few books of hers that I haven’t read yet!! If you’re looking for a good contemporary novel, do check this book out!